Emotion (or affect) is a cross-disciplinary subject in psychology. 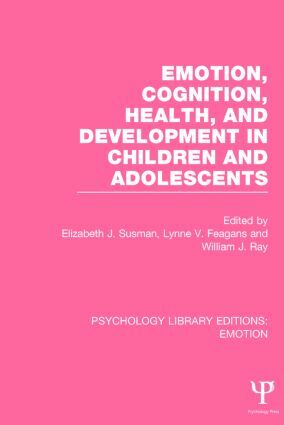 Psychology Library Editions: Emotion makes available again twelve previously out-of-print titles that were originally published between 1976 and 1999, either as a set or as individual volumes, in your choice of print or ebook. Written by a range of authors from diverse backgrounds and spanning different areas of psychology, such as clinical, cognitive, developmental and social, the volumes feature a variety of approaches and topics. This is a great opportunity to trace the development of research in emotion from a number of different perspectives.